Above: U.S. Marines train Afghan local policemen with AK-47s on June 6, 2012. The U.S.-backed, loosely controlled paramilitary group is accused of numerous human rights violations. Photo by Adek Berry/AFP/Getty Images. A village alleges dozens of civilian deaths at the hands of a single U.S.-trained strongman—just one example of the “Afghan special forces” to whom the U.S. has delegated its war. Even by Afghan standards, the easternmost part of Uruzgan province is remote, mountainous and poor. It sits 200 miles southwest of Kabul along a highway pockmarked with IEDs and plagued by roving bandits. The road is often impassable, choked by snow in winter and fighting in summer. Most of the tens of thousands of residents are farmers, growing almonds, grapes and apricots. The area’s richest soil lies along two rivers that cut through the arid landscape. Where the rivers merge, forming a wishbone-shaped stretch of green, sits a village called Khataba. After the U.S.-led coalition ousted the Taliban in 2001, Khataba, like many remote villages in Afghanistan, was nominally under government control. But by 2009, the capital’s hold on eastern Uruzgan was fraying. Khataba was what the American military would call a “pro-Taliban village,” an area that, for reasons of tribal or political jockeying, was deemed sympathetic to the insurgency. Afghan government forces had long accused the predominately Pashtun village—an ethnic group often conflated with the Taliban—of giving cover to Taliban fighters. 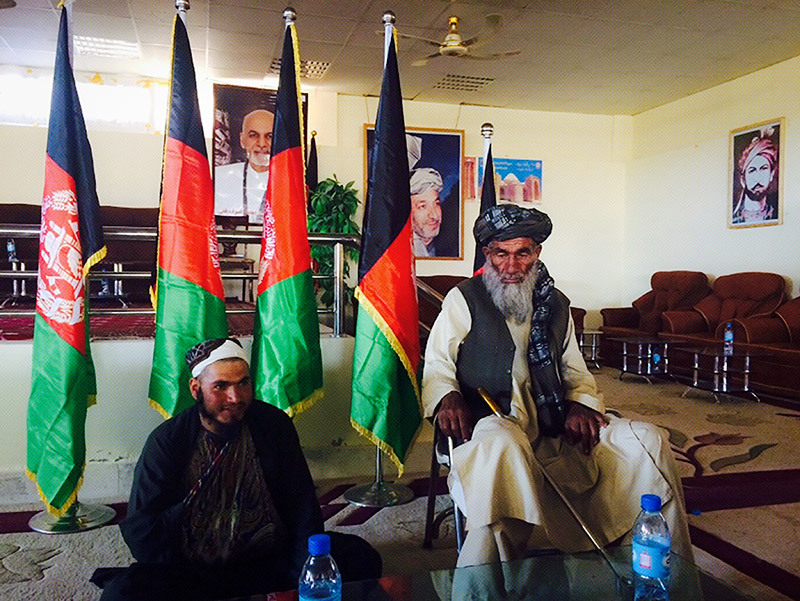 According to Malik Lal Mohammad, a local elder, one day in August 2009, a pro-government armed group and their U.S. advisors arrived in Khataba to seek out Taliban fighters. Khataba residents had learned to make themselves scarce when government forces were on a sweep. In a previous U.S.-advised raid, locals say, at least three men suspected of affiliation with the Taliban had been disappeared. A group of farmers, however, decided that they had little to fear. They were all relatives of Hanif Hanifi, a two-term Afghan senator with clout among local officials. After a rushed assembly to discuss their options, the men, all Pashtun, decided to continue working in the fields. Hanifi’s name, they believed, would afford them protection. Here is what Mohammad, who had hidden nearby from the patrol, says happened next. The farmers never had time to make their case. The Afghan patrol opened fire, killing all seven men. It was not clear whether the U.S. advisors, who were stationed half a mile away, witnessed the killings, but Mohammad believes they would have been within earshot of the gunfire. Afraid the patrol might return, the villagers waited for the cover of darkness before retrieving the bodies. Some of the seven had fallen to the ground still clutching their scythes. The survivors worked silently to prepare the dead for burial. “I know that this happened and this was wrong,” Hanifi told me in May 2016. 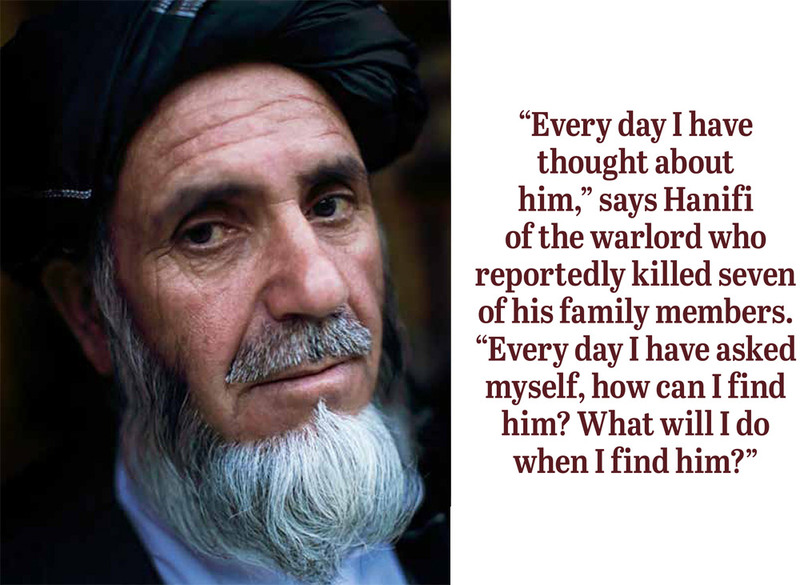 Sitting in the basement of his three-story rental in west Kabul, the 53-year-old from eastern Uruzgan recounted what villagers had told him of the murder of his brother, cousins and nephews in the field. Hanifi, who shaves his head but maintains a kempt beard, is tall and hale for his age. He reclaimed his seat in the Afghan senate in April 2014. The rental, which he shares with his wife, five sons, three daughters and three bodyguards, is where he greets his endless stream of supplicants. Everyone I spoke to there knew of the massacre. Everyone, too, knew how it has come to define Hanifi. In the eight years since the Khataba killings, Hanifi has waged a tireless, but fruitless, campaign to bring the perpetrators to justice. Hanifi’s story is not an outlier. This kind of impunity has come to be the norm in Afghanistan. Numerous reports from human rights agencies have implicated U.S.-backed militias in killings and human rights violations over the course of the war. No one has a comprehensive tally. Due to poor record-keeping, even the U.S. government may not know how many militias it has funded or how many civilian deaths those militias are responsible for. None of these crimes have been prosecuted in Afghan or international courts. His words set the tone for the years that followed. Considered to be a critical bulwark against the insurgency, local armed groups like the one that killed Hanifi’s family members became central to the U.S.-NATO coalition’s security strategy. As a result, international human rights observers argue, the militias are protected even when they commit crimes. In an attempt to close out the U.S.-backed war cheaply and expediently, while keeping the pressure on the Taliban, much of the war has been fought off the books by private militia groups that answer to no congressional inquiry or inspector general audit. That strategy has not wavered. President Donald Trump, who wants to step up U.S. involvement in Afghanistan, emphasized in an August 21 speech that Afghans need to “build their own nation and define their own future,” Washington code for deputizing much of the fighting to the Afghan military—a military that in turn heavily depends on the less-regulated U.S.-backed militias. What happened in Khataba is a glimpse into how the U.S. war is experienced by Afghan communities caught between a brutal insurgency and a government that answers not to its people, but its international funders. After Hanifi reclaimed his senate seat, he spent much of his time sitting in his basement office, attending to the particulars of representative politics—assisting with exit visas, settling disputes over livestock. Yet the primary organizing principle for his life, he told me, was revenge. He has his dagger out for one man in particular—the militia leader he believes is responsible for the 2009 deaths. Soon after the Khataba killings, the district police chief called Hanifi to inform him that there had been an incident in his hometown. The police chief did not spell out the details, but, even then, Hanifi thought he knew who was responsible for the killings—Abdul Hakim Shujayi. Hanifi first met Shujayi in 2007 at a U.S. special operations encampment in Eastern Uruzgan called Firebase Anaconda. Shujayi, Hanifi recalled, was receiving support from the U.S. military. U.S. officials contacted for the story say they have no record of Shujayi working with U.S. forces in Uruzgan or elsewhere at this time—such was the off-the-books nature of the U.S. military’s relationship with local militias in the first chapter of the war, begun by the Bush administration. The spindly man with a wisp of a beard was prototypical of the Afghan strongmen the United States co-opted in its fight against the Taliban. He had consolidated his power among his fellow Hazaras, Afghanistan’s marginalized Shiite ethnic minority, whose persecution by other tribes intensified after the mostly Sunni Taliban took power in the 1990s. Hazara militias became natural allies for the NATO coalition. “The Americans felt like they could trust them,” says Martine van Bijlert, co-director of the nonprofit research group Afghanistan Analysts Network and a leading expert on Uruzgan province. “[Shiite Hazaras] would definitely not join the Taliban.” These militia leaders, however, soon gained a reputation for exacting revenge on local Sunni populations. Around the time of the Khataba killings, the Obama administration was doubling down on its reliance on local armed groups. In 2010, at the behest of the United States, Afghan President Hamid Karzai forced the militias to reorganize themselves under a more respectable-sounding name: the Afghan Local Police (ALP). Above: Locals bike along the road to Afghanistan’s eastern Uruzgan province, site of the Khataba massacre. Photo by May Jeong. From the October issue of In These Times. The name is misleading. The ALP, or arbeki as it is called in Afghanistan, is neither a local nor a traditional police force. It is more like a neighborhood watch for the Afghan countryside, often made up of non-local recruits. Trained and supervised by U.S. Special Operations Forces in conjunction with the Afghan government, and funded by the U.S. Department of Defense through the Afghan interior ministry, the ALP operates independently of the national, more structured, police force and army. In Uruzgan, the ALP program recruited Hazara militia leaders to patrol a Pashtun majority. This is where the U.S. paper trail on Shujayi begins. In 2010, Shujayi first appeared on the ALP payroll. Even though the U.S. was bankrolling the venture, local leaders were meant to oversee the vetting of recruits. Yet many, including Shujayi, were handpicked by U.S. advisors, according to Sardar Wali, then a district police chief in eastern Uruzgan. Wali was present during the meeting when U.S. captains pushed for Shujayi to join the local ALP, despite villager protest that he was neither law-abiding nor from the area. Rumors about Shujayi abounded: He had ordered 14 men to climb into a well and then stoned them to death; his troops had burned a young girl alive and beaten a child to death in front of his mother. Shujayi was nonetheless selected. He and the others chosen were fitted with official uniforms, given weeks-long training by U.S. forces, and sent out into the communities bearing America’s stamp of approval. Shujayi was a poster child for the ALP’s excesses—and its invulnerability. 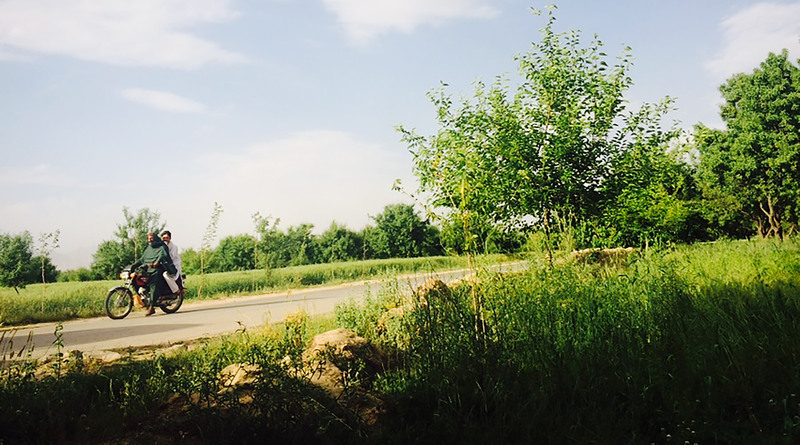 Soon after he was made commander, his officers reportedly killed two young Pashtun students traveling on a motorcycle, according to Wali, the former district police chief. Villagers from eastern Uruzgan issue formal complaints about Shujayi at their provincial governor’s palace in Tirin Kot in May 2015. Photo by May Jeong. In the years following the Khataba massacre, Shujayi became so notorious that Afghan authorities could no longer ignore the mounting allegations against him. In a complicated web of alliances that cut across ethnic, religious and tribal lines, local leaders, politicians, federal prosecutors and even the head of the ALP tried to bring Shujayi to justice. All were thwarted, sometimes under inexplicable circumstances. Shujayi appeared to enjoy protection from powerful men. In the summer of 2010, three provincial officials—Uruzgan’s governor, police chief and finance officer—set out to apprehend Shujayi and charge him with murder, kidnapping, torture and other crimes. According to finance officer Abdul Jalil Achekzai, the three found Shujayi at the U.S. military’s Firebase Anaconda, kitted in the same uniform as the Americans. Over lunch, the delegation sat negotiating the terms of the capture with their American hosts. Eventually a captain agreed to let Shujayi go into their custody, but said the Americans had some last-minute business to go over in private, and asked the delegation to wait in the helicopter. After some time, the rotors began to turn, and the American captain came running out with an interpreter to tell the delegation that Shujayi had escaped. The disbelieving delegation was advised to return home before the sky turned dark. Charles Cleveland, then-spokesperson for the American mission in Afghanistan, told me the U.S. military was not aware of the encounter. “While it is possible that he worked with a U.S. team during 2010, we just don’t have a record of it,” Cleveland wrote in a February 2016 email. A military prosecutor for Uruzgan recalls being part of a similar delegation in 2012. He says the Americans refused to hand Shujayi over, repeating that he was a brave soldier who fought the Taliban. Things seemed to change in October 2012, when the Afghan interior ministry issued an order for Shujayi’s immediate capture. Three months later, interior minister Gholam Mujtaba Patang testified before Parliament that Shujayi would be detained “within the week.” But Shujayi was never formally indicted or arrested. According to multiple government sources, he had allies among influential warlords and officials, who obstructed efforts to bring him to justice. The Afghanistan Analysts Network reported that Shujayi spent 2013 traveling frequently to eastern Uruzgan to oversee security posts there, as if they were still under his command. A third near miss occurred in Kabul in 2014. ALP chief Ali Shah Ahmadzai received a tip that Shujayi was at the interior ministry and met him with an arrest warrant. Shujayi was taken into custody. Satisfied, Ahmadzai went home. The next morning, Ahmadzai told me, he received a phone call from defense minister Bismillah Khan Mohammadi, who angrily demanded that all charges against Shujayi be dropped. “He threatened to fire me,” Ahmadzai recalled. Shujayi was released. 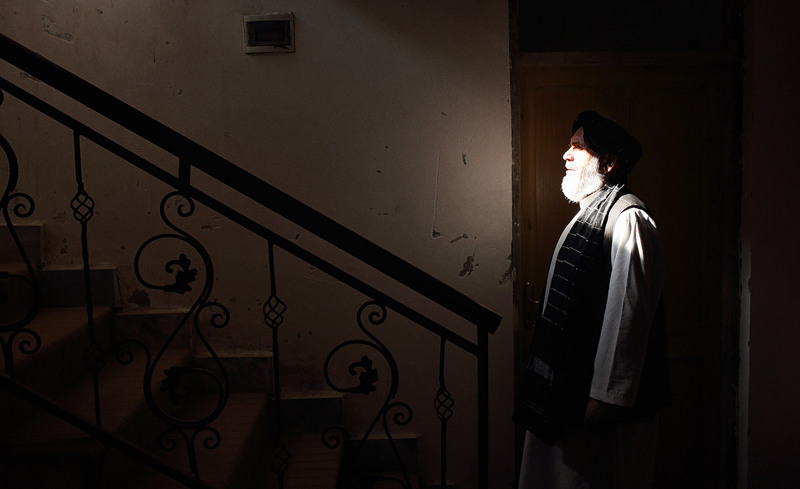 Eight years after the Khataba massacre, he remains a wanted man. Soon after, Shujayi dropped out of the public eye. According to U.S. military spokesperson Cleveland, the commander took “some weapons and vehicles” and was gone. By that time, eastern Uruzgan locals allege, Shujayi had killed as many as 60 civilians—all Pashtun villagers. In a country where few know their date of birth, and where the central government’s reach does not extend into remote villages, the only official evidence the villagers had was a list of the dead they had kept. Among the more than 50 family members, local elders and others I interviewed for this story, nearly everyone believed Shujayi was to blame for the deaths. A villager shares photos of a family member who was allegedly killed by Shujayi with Afghan senators on a fact-finding mission in May 2015. Photo by May Jeong. Shujayi was not just a pariah, a commander gone rogue. Many commanders before him had committed equally egregious crimes, according to villagers from eastern Uruzgan, who told me that Shujayi’s predecessors were also Hazara, and like him, were handpicked by the Americans. Unlike Shujayi, however, most managed to leverage their proximity to foreign influence to resettle abroad. 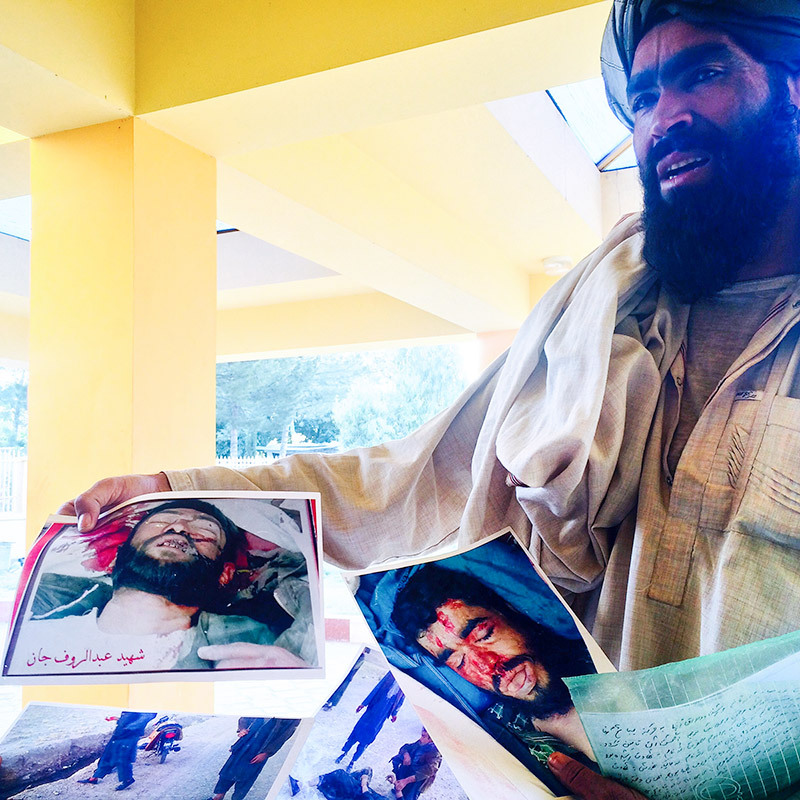 “It needs to be mentioned that he is not uniquely horrible,” says Uruzgan expert van Bijlert. “He became strong because of his links to the Americans. He was artificially propped up because the Americans needed him.” It just so happened that Shujayi’s reign of terror came as the U.S. special forces were leaving Uruzgan. His services were no longer needed, and he was left to fend for himself. In November 2015, Ali gave me Shujayi’s phone number. After multiple calls, the commander picked up. By then, he had been on the lam for nearly two years. On occasion, sightings of him were rumored in Kabul. He was said to live freely in the Hazara area of his native Ghazni province, but no one knew for certain. When I spoke to Shujayi, he was vague about his whereabouts. Over a crackling phone line, he did tell me about the vigilante force he ran, protecting some 5,000 Hazara families living in the borderlands between Uruzgan and Ghazni province. The group was called niro-e Shujayi, or the Shujayi brigade. Shujayi did not express resentment at those who had pushed him into the life of a fugitive, but he did want me to note that everyone who had accused him was a Pashtun (whom Ali derisively calls “Taliban necktie-da,” Taliban with neckties). Everything they said was slander, he told me. For one, he was responsible for no more than 30 deaths, all “in battle.” Shujayi said his level of aggression had been necessary to protect his community. One thing that both the Pashtuns and the Hazaras agreed on was how the United States created the conditions for Shujayi’s rise to power, his blood-fueled tenure, eventual escape and continued freedom. Earlier that autumn, the northerly city of Kunduz became the first to fall to the Taliban. The city of Lashkar Gah in Helmand province was on the edge of collapse. Hanifi’s hometown wasn’t faring much better. Since the start of the fighting season in May 2015, the road connecting eastern Uruzgan to Tirin Kot had been closed due to continuous fighting. According to locals, Taliban fighters had set fire to cell phone towers throughout the province, trying to limit communication. By the time I got there, much of Uruzgan remained inaccessible due to blockades. I didn’t know it then, but this would be one of the last trips that a foreign reporter would be able to make to the provinces. The root causes of the deteriorating security situation in Afghanistan cannot be summed up neatly. According to experts, however, an enduring factor is the coalition’s ongoing reliance on local armed groups that operate with no oversight. A June 2016 report by the Open Society Foundations found that “the cost to U.S. and Afghan government legitimacy was exacerbated by abusive, U.S.-backed Afghan actors in the security forces and militias that preyed upon and harmed civilians. The harm caused by predatory militias in the early years damaged Afghan support for the government and for the international mission.” In short, the bargain for security, made in the early years of the war, has backfired. Despite evidence that these armed groups have hurt efforts to defeat the Taliban, Kabul and Washington continue to depend on them. On August 21, Trump announced his new Afghanistan policy, which signaled no meaningful departure from the past. “Victory will have a clear definition,” Trump said, and then commenced to list non-measurable objectives—to attack, to obliterate, to crush. He used the language of business to describe war, vowing “to eliminate their ability to export terror.” In short, more troops will be sent, for an unspecified period of time—and the war will continue as before. Nowhere in the speech did President Trump mention the need to safeguard human rights, not only as an end unto itself, but as a necessary condition for building state legitimacy, the only exit strategy that will allow the United States to leave behind a sovereign Afghan state. As President Trump continues to fight an increasingly unpopular war that even his political base does not want, there will be even more pressure to rely on the ALP. At $121 million a year, it is about a quarter of the price of funding the Afghan police and the army, which work with NATO and are more regulated and accountable. Consequently, Shujayi and his ilk will continue to be in demand as the United States tries to devise a cheap, “Afghan-led” exit strategy. Upon my return from Uruzgan, where I met with witnesses and people who said they’d lost family to Shujayi, I went to Hanifi’s to let him know I had made it back safe. Sitting cross-legged in his basement, he told me that he was taking a break from his hunt for Shujayi. He needed to focus on securing his influence in the complicated hierarchy of the senate. Besides, he said, Shujayi was a long game. He was confident one day he would find him—and finally exact the retribution that had been years in the making. “I don’t want to hurt the innocent,” Hanifi assured me. “I only want to hurt Shujayi.” I waited for him to continue. “I only want to hurt Shujayi,” he repeated. “I only want to hurt him, or any male members of his family.” This, Hanifi believes, is all the justice Afghanistan will allow. 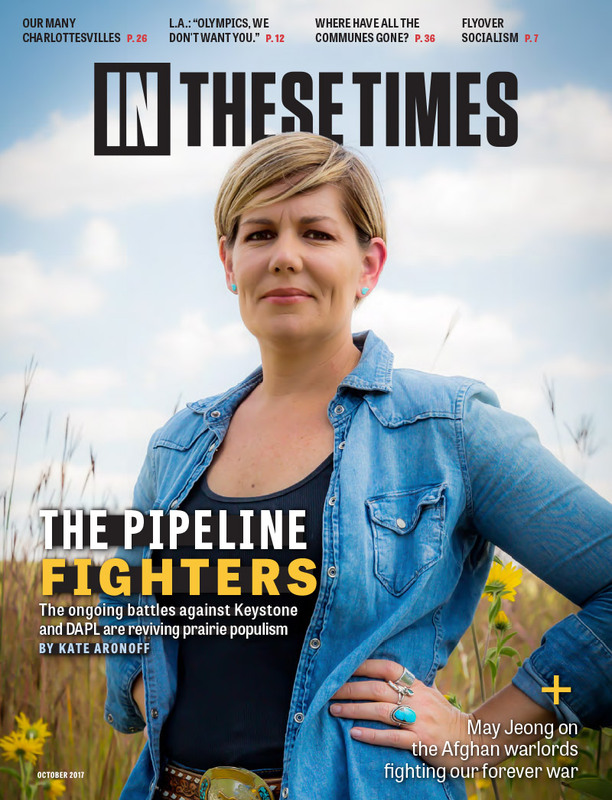 Reporting for this piece was facilitated by grants from the Pulitzer Center on Crisis Reporting and the Leonard C. Goodman Institute for Investigative Reporting. Julia Clark-Riddell contributed research and fact-checking.